Most people find themselves in the position at some point in their life: stuck on the road in need of Riverdale towing. There are a number of reasons that this can happen. You may have run out of gas, gotten a flat tire, or gotten stuck in a ditch. Luckily, there are people to help. Here’s what to do when you get stuck and in need of Ogden Tow. A deadzone is an area that does not provide cellphone service. Being stuck on the side of the road is difficult enough, but it’s even worse when you can’t call a towing company. Most of the time you will hear trouble before it happens or see the empty gas gauge. In those instances, get off the road and into an area with service immediately. There are a lot of tow companies available. Use one that emphasizes customer service and quality work. Using a subpar company can result in damage to your car, unexpected fees, or bureaucratic complications. 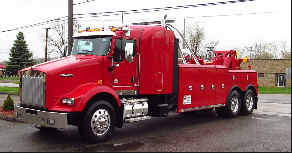 Read reviews or ask friends about Ogden Tow for Riverdale towing. Getting stuck on the side of the road is extremely frustrating and stressful. Take a deep breath and calm down. You may be in a precarious situation, but freaking out won’t help. Stay calm and go through with the process. Call friends and family to come help if they can provide support. Do not leave important or expensive items in your car. Things could happen, and you want to retrieve your most valuable items in your car before it gets towed away. You can also document the items that you were forced to leave in the car so that you have documentation. Ogden Tow provides towing in Riverdale, Utah for all of your towing needs.